In Federalist Paper number 46, James Madison explained that Americans are exceptional because armed, and that such exceptionalism provides them an ultimate check on federal overreach. 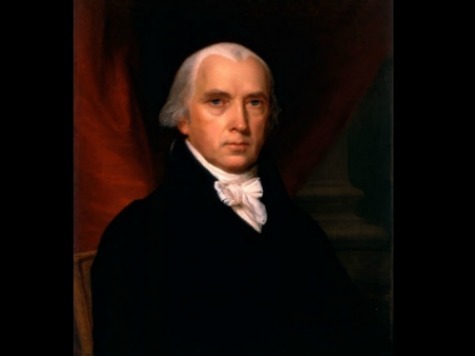 Madison contended that one of the strongest checks on federal tyranny–if not the single strongest check–was an armed citizenry. He boiled down differences between Americans and their European counterparts by explaining that Americans could unite to stop a federal government intent on using military force to topple State power: disarmed Europeans had no such option. Madison showed that the armed citizenry, together with “the existence of subordinate governments to which the people are attached,” provided the framework in which the people could rally to defend their lives and liberty. The people wound band together in “militias”–officers being “appointed” by those local, “subordinate governments”–and their banding together would be meaningful because the people were armed. Madison used Federalist 46 to explain that “ultimate authority…resides in the people alone.” All authority held by government is derivative power that flows from the people and rests in the people. Understanding this, it is much easier to understand why the Founding Fathers included the Second Amendment in the Bill of Rights to ensure that the people had the means to defend the power that resides in them by birth, and only in the government by choice.